3. The data reported are not put into context, such as a city’s crime rate, to provide the public with the information needed to compare rates and make decisions. With almost 11 million cruise passengers in 2011, the new requirements imposed by the CVSSA are crucial in the eyes of the public to increase the safety and security on ships. Often compared to floating cities, most cruise ships departing from U.S, ports carry thousands of passengers and crew members, for several days and nights. While on the ship, most people party, share drinks and have a good time. But like in every environment where a large number of people spend a significant amount of time together, coupled with alcohol, crimes do occur. In addition to the released data not being useful and in essence falling short on the true goal of the CVSSA, Rockefeller declared that he had a “strong belief that its in the interest of the [cruise] lines to report as few crimes [as possible], crimes towards young people who are vulnerable.” This stems from the notion that cruise lines have under-reported crimes occurring on their ships. 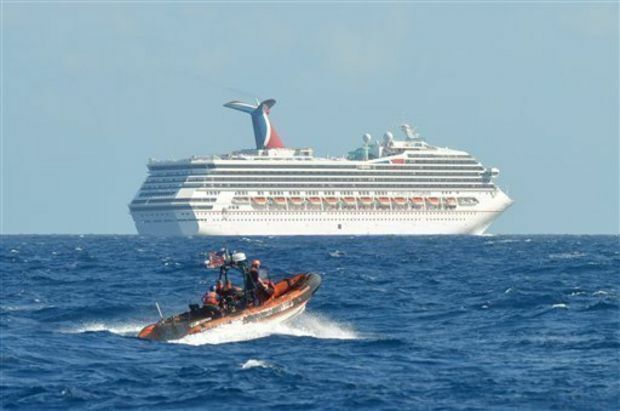 Cruise lines are not advertising that their ships are crime-free, but they do pride themselves on crimes on cruise ships being a small fraction of corresponding rates on land. The data to back the industry’s belief is however disclosed by the cruise industry, without any governmental or independent entity reviewing such data. In other words, the cruise industry voluntarily releases data that no other person has access to, which is the definition of self-serving. Despite the good will of many who voted and passed the CVSSA, the GAO has now joined the army of former passengers who are angry with the cruise industry for seemingly not coming clean yet.